The Lincoln MKZ is a luxury midsize that's been around for just over a decade now, and the current model the car's second-generation that benefitted from something of a mid-cycle refresh just last year. Cars like this don’t just face competition from other luxury midsize sedans, but they also have to compete against top trim levels of mass-market models that are becoming increasingly luxurious themselves. And that's before we even think about the current love of all things SUV. So, let's take a closer look at the 2018 Lincoln MKZ. 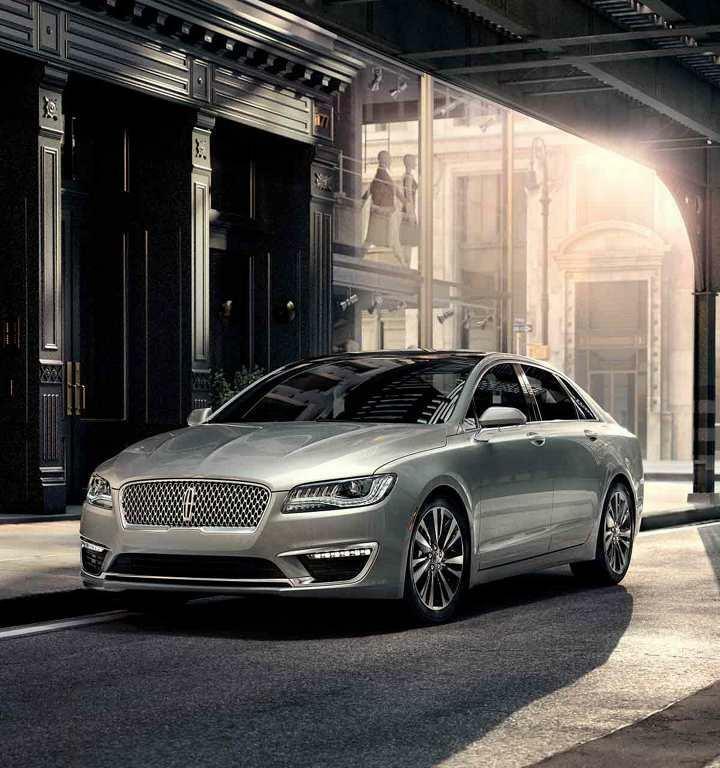 The overall shape of the Lincoln MKZ has remained the same since this generation was launched in 2013, but that's not a problem as it's an elegant, sleek and purposeful design that definitely has the kind of presence needed to be considered a true luxury marque. The grille is no longer the twin-wing design as that was replaced last year by a more conventional mesh affair, but this is still instantly identifiable as a Lincoln. The fastback roofline adds a sporty element to the design, and therefore gives the Lincoln MKZ wider appeal than some of its more staid and conservative rivals. Buyers have three engine options to choose between with the 2018 Lincoln MKZ, which are a 2.0-liter inline-four, a 3.0-liter V-6 and a hybrid. The standard 2.0-liter inline-four develops 245 horsepower and 275 lb.-ft. of torque, while the 3.0-liter V-6 can produce as much as 400 horsepower and 400 lb.-ft. Both gas engines come mated to a six-speed automatic transmission, while the hybrid features an electronic CVT that sends the 188 combined horsepower to the front wheels. If you choose to go with one of the conventional powerplants you'll then have the choice of sticking with the standard front-wheel drive, or paying extra for the additional capability of all-wheel drive. The cabin of the 2018 Lincoln MKZ is pretty spacious by midsize standards, which is a very good way to start with constructing a luxury interior. The ride is quiet and smooth, even if you're in a top of the range model with low-profile 19-inch wheels. All models feature very good quality trim and materials, and the Black Label edition in particular really is extremely opulent. The interior ambience is positively transformed if the optional panoramic sunroof is specified, especially with light-colored interiors, as it makes the cabin very bright, warm and welcoming. There isn’t a huge amount of difference in the fuel economy delivered by the two gas engines, at least not enough to put too many people off opting for the much more powerful V-6, anyway. The inline-four is rated by the EPA at 21 mpg in the city, 31 mpg on the highway and 24 mpg combined, which then changes to 20/28/23 mpg with all-wheel drive. * The V-6 will get you 18/27/21 mpg with front-wheel drive, while all-wheel drive versions are rated at 17/26/20 mpg. To check out the 2018 Lincoln MKZ for sale in Hawthorne, get in touch with us today here at South Bay Lincoln for more details on pricing and availability and to schedule a test drive in this outstanding luxury midsize sedan.